NEON and GOZIE AGBO have released a new fierce red band trailer for the upcoming film Assassination Nation, which is being called the “demon spawn of Heathers and The Purge.” Check it out now in the player below! Assassination Nation stars Odessa Young (The Daughter), Suki Waterhouse (The Bad Batch), Hari Nef (Transparent), R&B musician Abra, Anika Noni Rose (Everything, Everything) , Colman Domingo (Lincoln), Maude Apatow (This is 40), with Bill Skarsgård (It) with Joel McHale (Ted) and Bella Thorne (Blended). The film is written and directed by Sam Levinson. 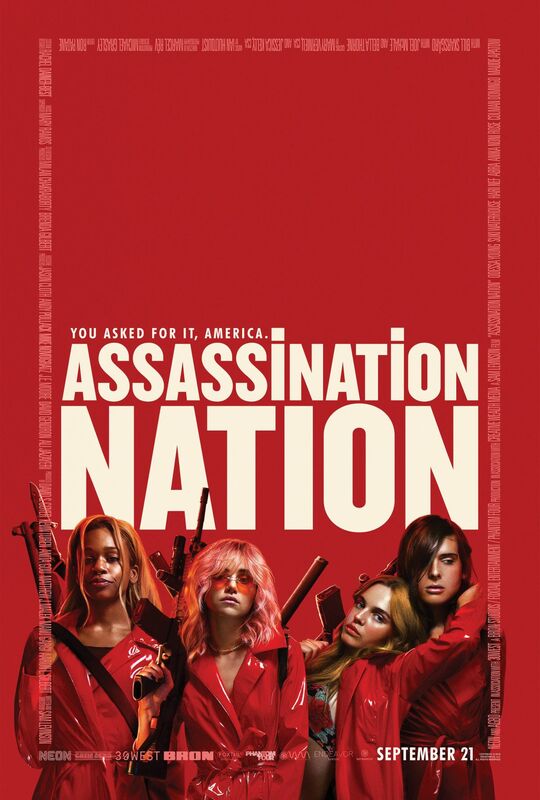 Producing Assassination Nation are Foxtail Entertainment’s Matthew Malek (Silence) and Anita Gou (To the Bone), Phantom Four’s David Goyer (Batman v Superman: Dawn of Justice) and Kevin Turen (99 Homes, Arbitrage) and Bron Studios‘ Aaron L. Gilbert (Fences, Birth of a Nation). Creative Wealth Media’s Jason Cloth and Andy Pollack are serving as executive producers. The film will be released in theaters on September 21, 2018. The post New Assassination Nation Trailer Is A Fierce & Bloody Ride appeared first on ComingSoon.net.